Previously I took a look at the Wing Wing Z84, the FX-79 and FX-61’s smaller sibling and also selected the various components required to get her in the air. With all of my parts selected and (eventually) delivered it was time to assemble. First step RTFM.. The manual left a lot to be desired – something you often find with these types of products. A full page or warnings and notices but nothing quite so useful as a recommendation on the type of glue to use. Putting the airframe together was pretty trivial so I won’t go in to too much detail here. Simply glue the carbon spar into the wings – passing through the fuselage. Glue the vertical fins, motor mount and motor mount top cover in place. Finally glue in the servos, servo horns and canopy/hatch retaining clip. That’s the airframe assembled. Simple right? In terms of glue choice I opted to use a mixture of 30-minute epoxy and microballons. Hot glue would probably do just as good of a job but I prefer epoxy for anything that requires strength. To make the servos a little easier to replace I wrapped them in some tape before fixing in place. I find cheap servos tend to last forever or burn out relatively quickly – it’s a lottery. 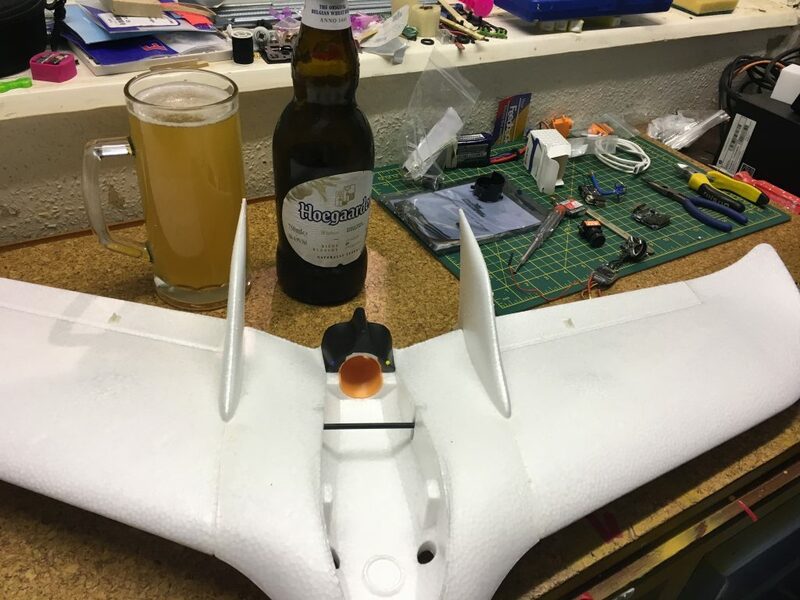 With assembly of the airframe completed I started to thing about component placement. After many failed attempts to cram everything inside the main bay I eventually settled on the layout shown below. This meant cutting out recesses on either side of the main bay to house the VTX and RX. The camera was easy to place – with a small amount of foam extracted to make way for the lens it sat perfectly on the little shelf that the canopy/hatch usually rests on. There weren’t many options for the flight controller placement. The only place it could realistically go was to the rear of the spar. If it were placed in front then the battery would have little room to be moved around in order to manipulate the CG. After cutting out the recesses for both VTX and RX – I secured them in place with a dab of hot glue. I kept a small piece of foam from the RX recess and used that along with some reinforced packing tape to cover it back over (bind the RX to your TX first). The VTX recess was simply covered with some clear tape so that I could still see the LED channel number display. At this point I soldered an XT60 battery lead to the flight controller as well as a buzzer and 4x servo lead sockets for SBUS, ESC and left/right elevons. 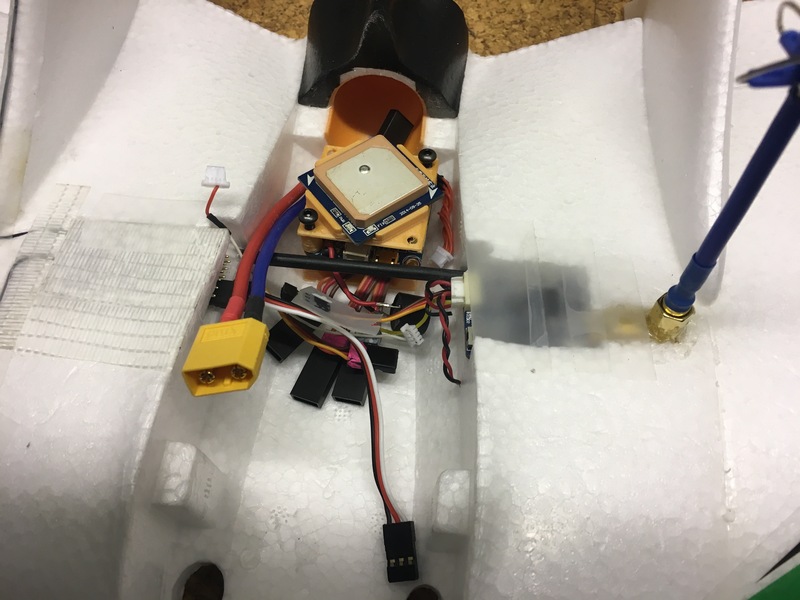 Below is a closeup of my flight controller completely connected up. You’ll notice I have the arrow which should be pointed forwards actually pointing to the port wing – this was necessary so that the USB port would be accessible. The board orientation can be corrected in the INAV configuration later. It’s also possible to just make out the ESC at the top of the picture, which I have managed to cram inside the motor mount tunnel. That’s all for now. In my next blog I’ll run over configuring INAV and my first flights! This blog isn’t intended as a complete step-by-step build guide but more of an account of my experiences. With that in mind it does assume the reader has some previous experience in building RC models and/or tinkering with electronics. That said if you are a beginner and have any questions feel free to leave a comment and I’ll do my best to help you out. 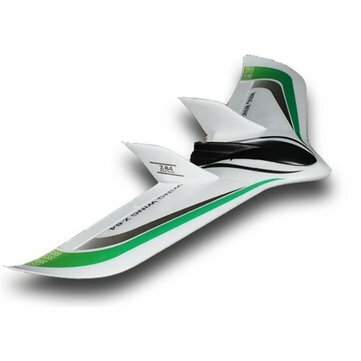 I’ve been wanting to build an FPV flying wing for some time. 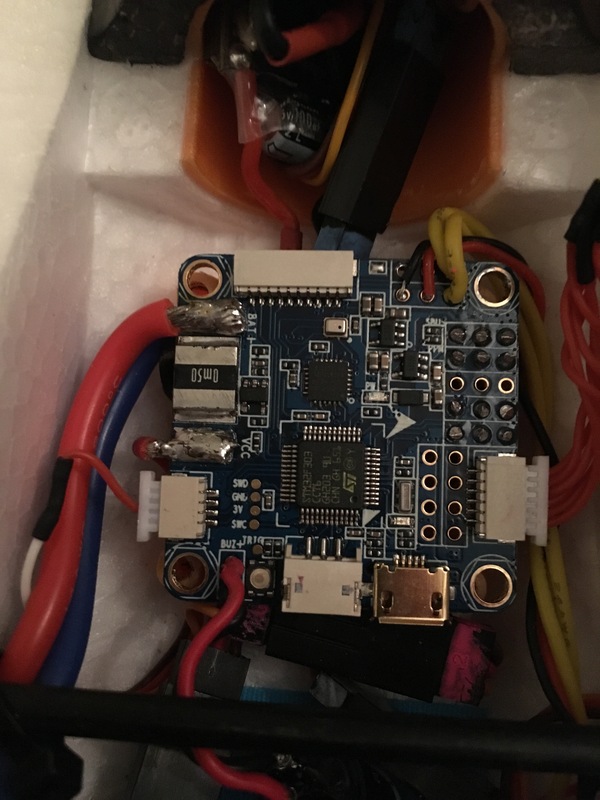 I actually have an FX-79 kit and accompanying PixHawk flight controller sitting in my workshop, they have been there for a while but the Arduplane setup is a little intimidating and I have found myself unable to commit the time to getting started. A little while ago I saw some reviews of the Wing Wing Z84 – the smaller sibling of the FX-79 with a wingspan of 845mm (~33in). It looked compact, low cost and ideally sized to re-purpose some old quadcopter parts I had hanging around. Perhaps combined with a simpler flight controller for stabilisation this could provide a simpler entry point in to fixed wing FPV? The kit was promptly ordered from Banggood and I began to look at the other parts I’d use to complete the build. My plan here was to keep the build cheap and use as much as possible from my parts bin. It’s always nice to find a use for old and defunct components – which tend to build up over the years if you like to tinker. A few unused HK900 9g servos which have been sitting in a drawer for 4-5 years finally found a home (they fitted the cutouts in the Z84 wing perfectly). Anything of a similar spec would work fine. As the model is relatively lightweight I doubt the servo performance needs to be too much of a consideration. The powerplant I went with was an old Quantum 1806 2300KV brushless outrunner. I have seen a large number of builds using a more powerful 2204/2205 motor however I had quite a few of the 1806’s in the parts bin recovered from an old quadcopter. Any similar size motor should do the job. There was a risk this would be underpowered but could also help provide better flight times. It can easily be upgraded in future if necessary. 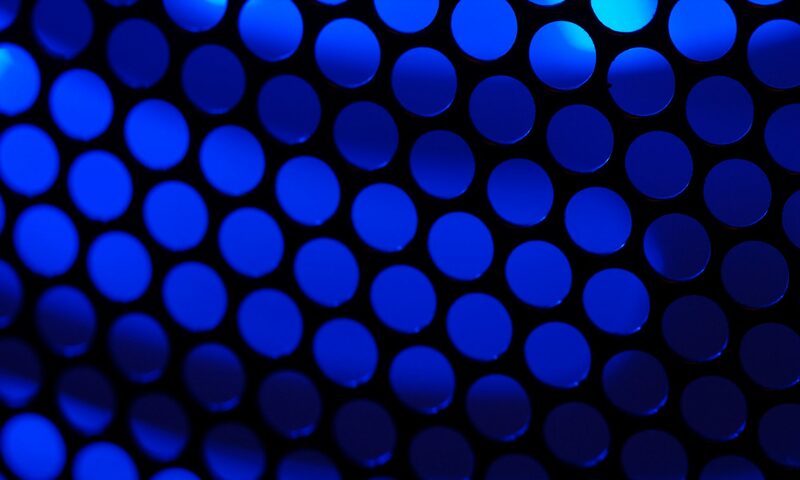 An unused 12A HK-Blue ESC was used here – again anything similar would be fine. I have quite a few of these, most of which have been flashed with SimonK firmware. 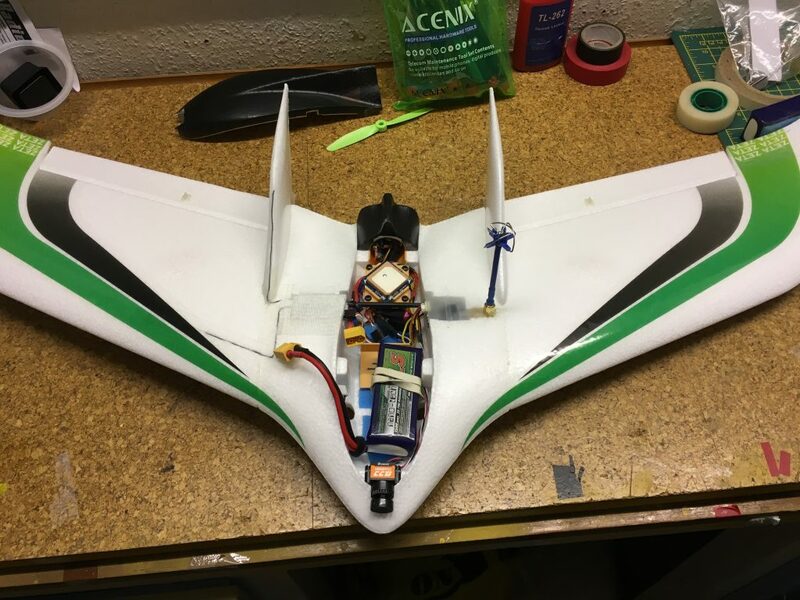 Unfortunately that firmware does not support braking functions which are handy for a flying wing – particularly if you want to glide and reduce the number of props broken on landing. I found one with the stock firmware that I had as a spare. If you know of an ‘aero’ firmware supporting braking that can be flashed to these ESCs please do leave a comment as I’d love to be able to re-use some of the others that I have. The Turnigy Nano-tech 45C 3S 1500mah LiPO packs that I have from my early days of flying quadcopters will fit the airframe perfectly and should provide reasonably good flight times. I didn’t have a spare FPV camera so purchased a cheap Eachine 1000TVL CCD camera from Banggood. An old FX48 5.8Ghz VTX from the parts bin seemed to be prefect for this. I had an FRsky X4R-SB receiver sitting around. Any SBUS capable receiver would be fine although the X8R will be on the large side. The Ublox-M8N GPS module that came with my PixHawk would do just fine. Originally I hoped to re-purpose an old Flip32+ or CC3D flight controller for stabilisation. After some research on firmwares providing stabilisation for flying wings it became clear that these would not be up to the task, at least not for anything more than the most basic accelerometer/gyro based stabilisation. Features like GPS based heading hold and return to home would not be available. This is not only due to limitations in processing power but also the limited number of UART ports. I settled on the OMNIBUS F3 AIO Pro with barometer. 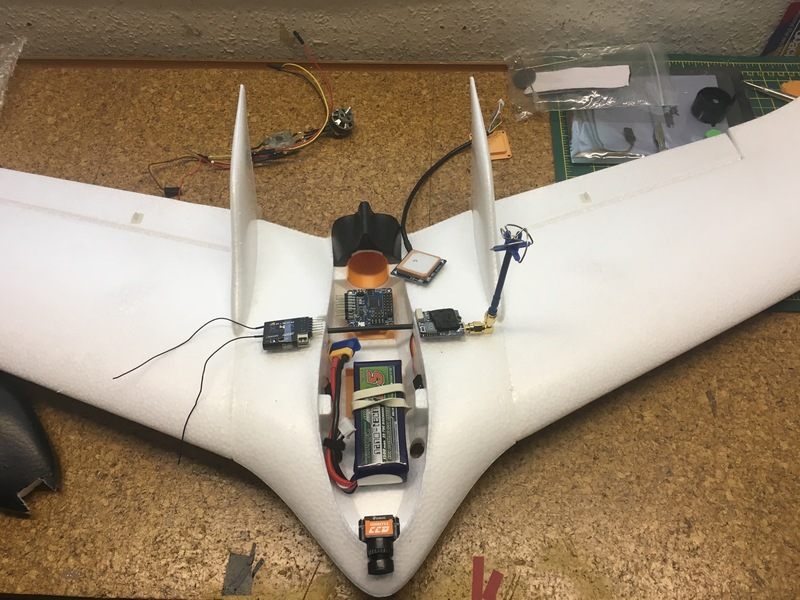 This has all the power and functionality required to run INAV – a branch from the Cleanflight firmware which is specifically focused on GPS based flight control and particularly well suited to fixed wing aircraft (it can also be used for multirotors). The flight controller uses Micro JST SH 1.0mm style plugs for various I/O so I also purchased a set of pre-wired plugs to adapt for use with some of the external components. We need 4 and 6 pin cables for this board so I ordered a set of each. There is an F4 version of the OMNIBUS available which has more processing power than the F3 however the F4 based boards UART ports sometimes require external inverters. The F3 board UART ports all have software selectable inverters so in my opinion are a bit more flexible and better to work with. In preparation for the build I had a browse through Thingyverse to see if there were any useful components to make the Z84 build cleaner or solve issues I have yet to encounter. The first thing I found was a motor mount designed specifically for 1806 motors. Next I came across a neat little FC/GPS mounting stack which looked rather attractive. I had to remix/design my own GPS mount for this stack as my M8N module needs to be mounted at a 45′ offset so that the onboard magnetometer is oriented correctly. These parts were promptly printed in PLA+ in preparation for the arrival of the Z84 kit and outstanding components. Watch out for the next part of this series where I’ll cover assembly of the kit and components above.